I have almost finished this book, so it’s time for the photo review. I guess the content review will be up this weekend. This is Gnome Press’s final publication before they folded. I’m very interested to find out the full story behind GP and their woes and eventual termination. If anyone out there has any info on this, please let me know. 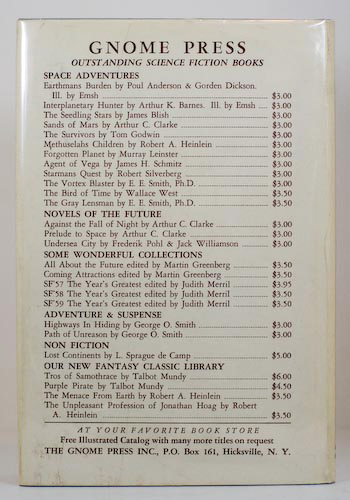 Anyway, the copyright page says 1961, but several other sources claim 1962 as the actual publication date. 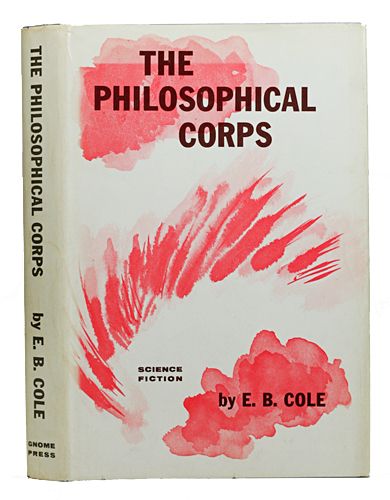 See the book’s entry over at the Internet Speculative Fiction Database. It’s in excellent condition. 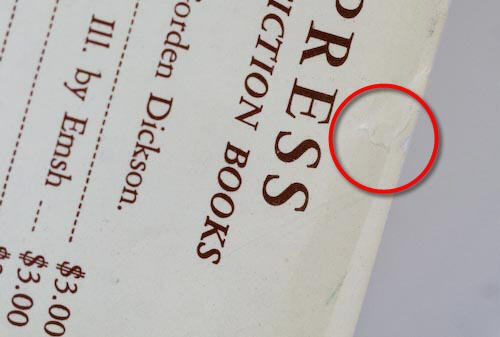 The dust jacket is a little discolored with some wear at the wrap-arounds. The boards are almost immaculate. Wonderfully clean with only very minor bumping at the spine extremities. Nice. 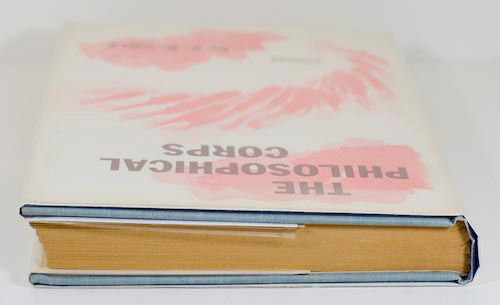 The only complaint about the binding is when we sit the book flat. As you will notice, there is a slight lean on the spine. It’s not much, but it’s definitely there. If we look closely at the spine extremities we can see that it is indeed in nice condition here. Beautiful. 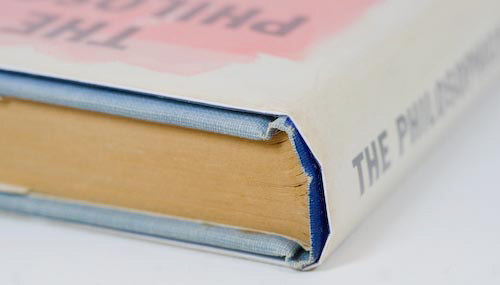 The dark blue paint on the spine isn’t worn at all. The edges of the boards are likewise undamaged. This book has been looked after extremely well. It has obviously been kept in a clean and dry environment for all these years. 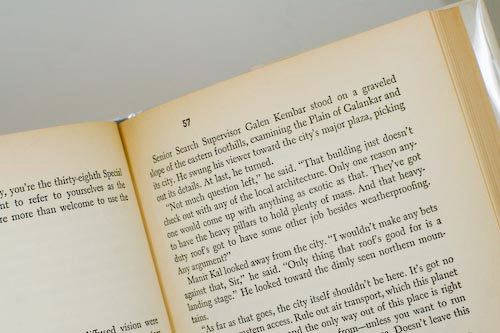 The lack of foxing is very evident and those nasty yellowed pages we are used to seeing have been minimized here. For a Gnome Press book of this vintage the pages have stayed remarkably (albeit comparatively) white. 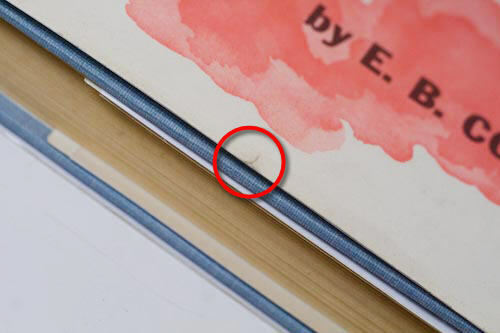 There are a couple of closed tears on the dust jacket just to bring us back to earth. Just look at the edges of the boards. Pristine. And that’s the bottom. To round everything off, the back of the jacket matches up well with the front – very clean with minor wear evident. 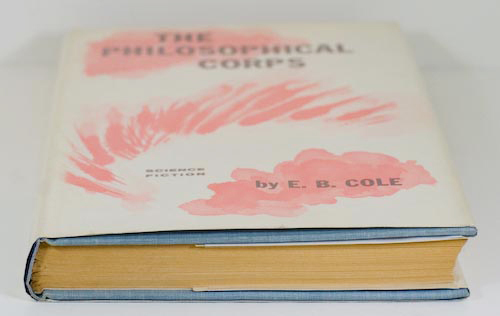 Year: Copyright page says 1961 and the ISFDB follows this. Eshbach claims 1962 as does wikipedia.com. 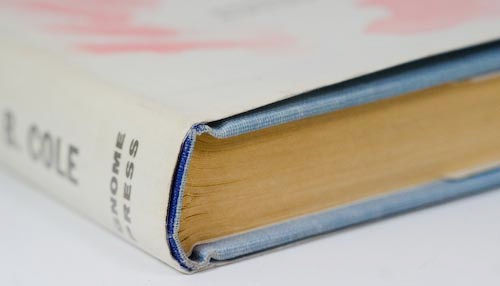 Binding: Sky blue cloth with dark blue lettering and solid painted areas at the head and tail of the spine. Comments: I think I picked this up at a very reasonable price. The book is in wonderful condition and I think just those small closed tears on the jacket prevent an overall Fine rating on this book. Very, very nice. This entry was posted on March 9, 2009 at 9:02 am and is filed under 1961, Close Up with tags E.B. 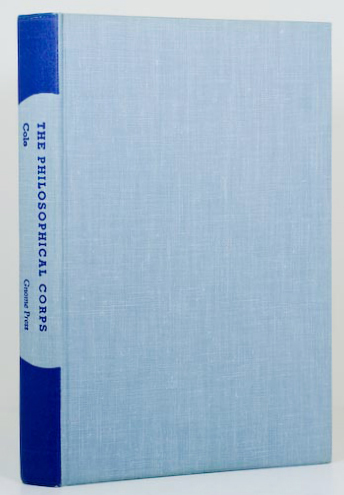 Cole, The Philosophical Corps, W.I Van der Poel. You can follow any responses to this entry through the RSS 2.0 feed. You can leave a response, or trackback from your own site.